The award was presented to the NHL Broadcasters' Association in 1974 to commemorate the late Jack Adams, coach and general manager of the Detroit Red Wings during the club's glory days of the late 1940's and early 1950's. This is an annual award presented by NHL Broadcasters' Association to the NHL coach adjudged to have contributed the most to his team's success. Leading winners: Pat Burns (3), Scotty Bowman, Jacques Demers, Pat Quinn (2). 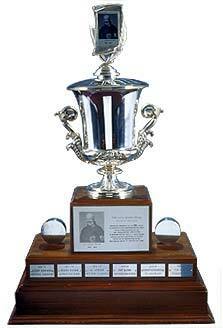 The first receipient of the Jack Adams Award was Philadelphia Flyers head coach Fred Shero in 1974.